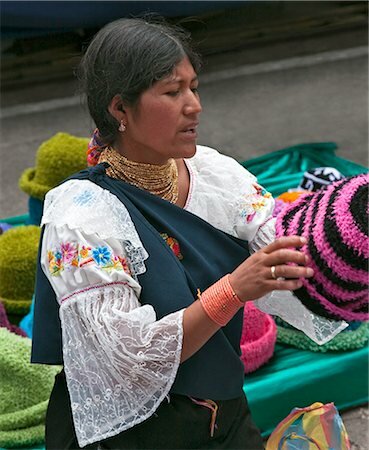 Ecuador, An indigenous Ecuadorian woman selling woollen hats at Otavalo market. 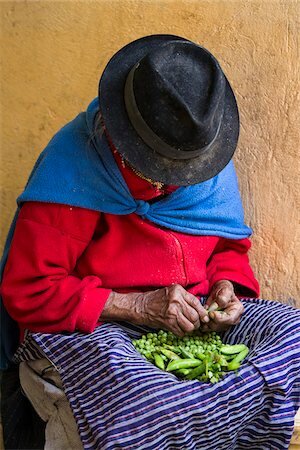 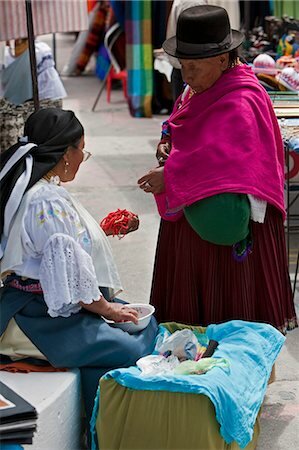 Ecuador, An indigenous Ecuadorian woman busy making a woollen hat at Otavalo market. 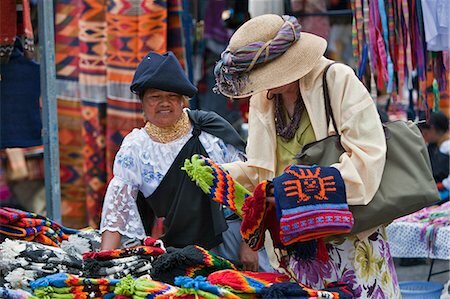 Ecuador, A tourist buys woollen hats from an indigenous Ecuadorian woman at Otavalo market. 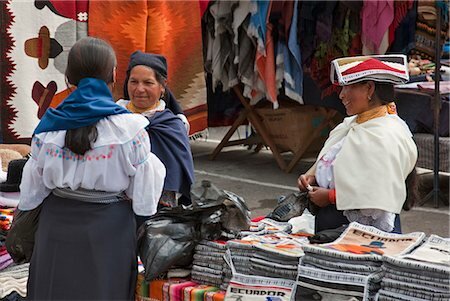 Ecuador, Market stalls selling local crafts at Otavalo. 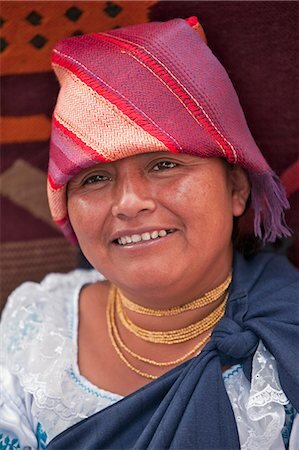 Ecuador, An indigenous woman sells hats favoured by Indian women at the weekly Sangolqui market. 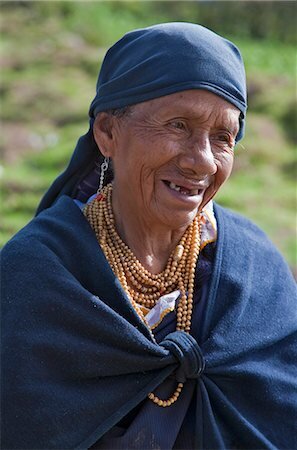 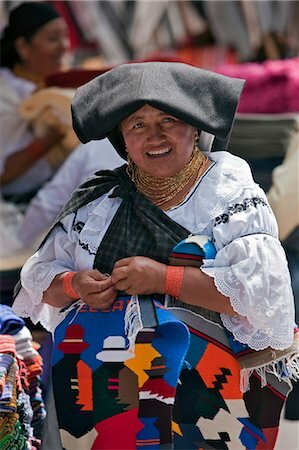 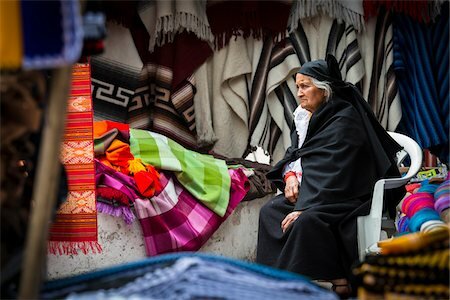 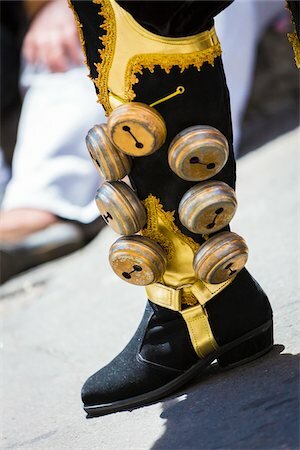 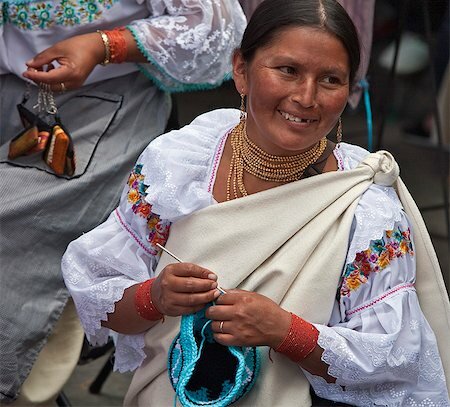 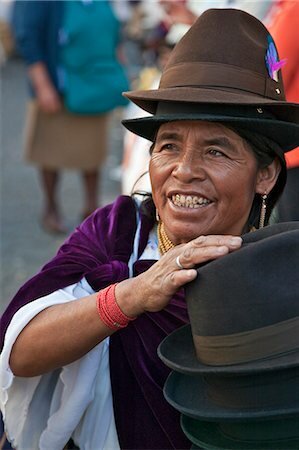 Ecuador, An indigenous Ecuadorian woman in traditional attire at Otavalo market. 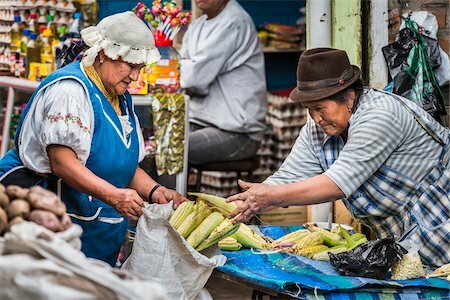 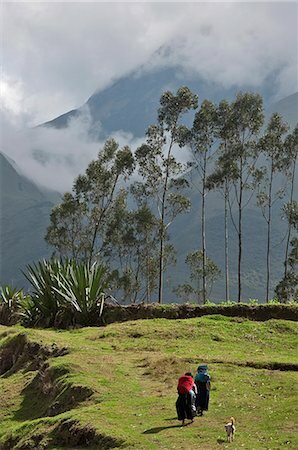 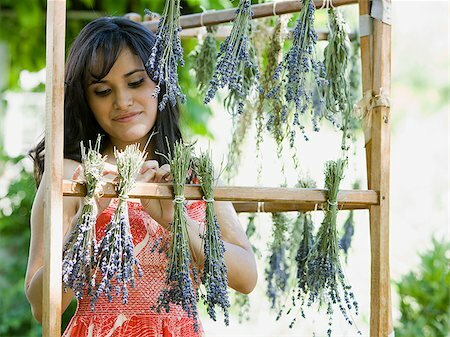 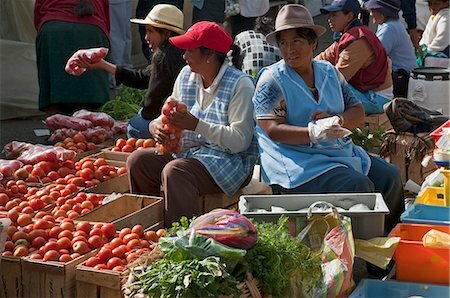 Ecuador, Indigenous Indian women sell fresh farm produce at the weekly Sangolqui market. 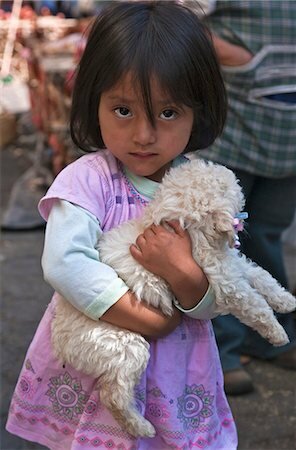 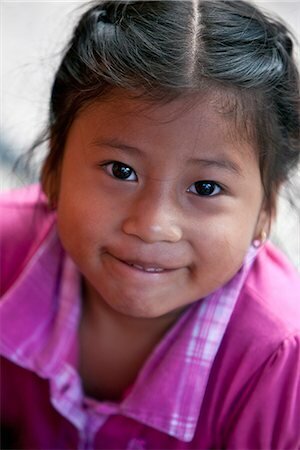 Ecuador, A young girl clutches the poodle puppy she has just bought at the weekly Sangolqui market. 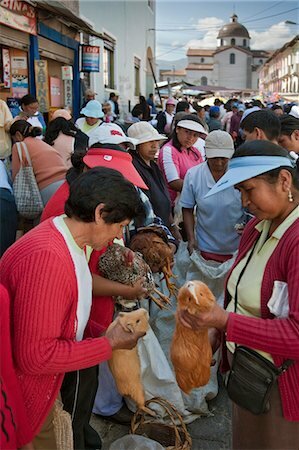 Ecuador, Guinea pigs at the weekly Sangolqui market,considered a delicacy here and Peru. 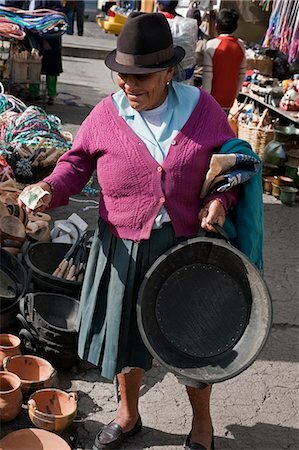 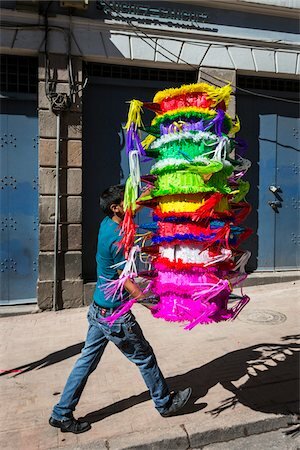 Ecuador, An old woman buys a bucket for feeding pigs made from old rubber tyres at Sangolqui market. 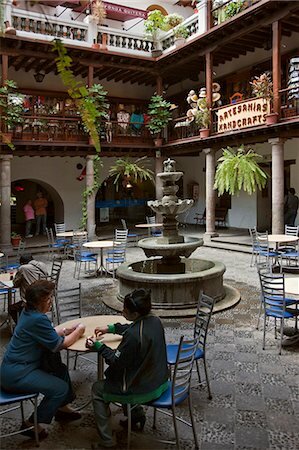 Ecuador, A small shopping mall and café in downtown Quito. 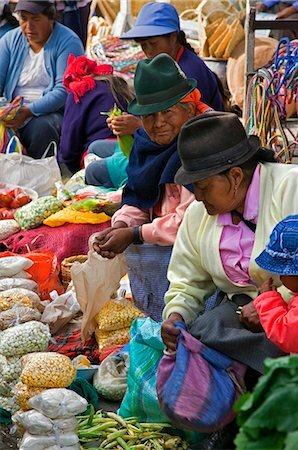 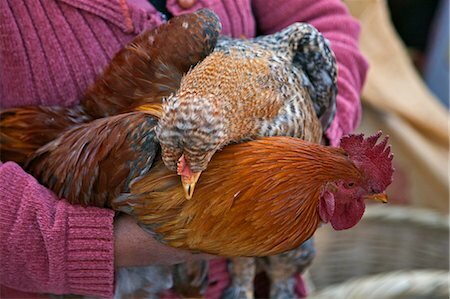 Ecuador, Plump cockerels and chickens are sold at the weekly farmers' market at Sangolqui.